Are you going to rollerskate in a buffalo herd? Probably not. But it is your decision. There may be consequences — rather painful ones. It seems that often we read about people who want to get an up-close selfie with a bison at Yellowstone National Park. Sometimes people have sued the National Park Service because of their own poor decisions. In fact, there’s an entire book, Death in Yellowstone, about people who have made bad choices — and many who then tried to blame the park for their own bad choice. If you choose to rollerskate in a buffalo herd, you can’t blame your parents, your environment, the government or society if you made a bad choice. It’s your choice. Everything we do when exploring the North Dakota Badlands is about choice. We start with the weather, and if it looks favorable, we’ll decide to go. What we wear while exploring is also determined by the weather, but it is our choice. Will we take water with as we hike? What trails will we take? Have you noticed how often people try to blame someone or something else for their decisions? There may be reasons to make a choice one way or the other, but the choice is yours. That’s freedom, but it’s also personal responsibility. You make your choices based on the anticipated outcome. On the morning of our wedding, we woke up in a buffalo herd. What we decided to do next, was a series of choices that yielded some memorable consequences. It’s not always like that for us, though. A few years back, we were following a dry creek bed through the Park. The route was narrow, and steep on both sides. We decided to follow it until we found a relatively easy way to climb up out of the ravine. We rounded a bend, and there in front of us, a bison. She looked at us. We looked at her. We didn’t turn our backs to her and run. Instead, we backed away and found a quick place to clamber up over the wall of the creek bed. Our first decision was a poor one — to follow the creek. It was up to us to decide what to do. And we did. Our behavior changed because we changed our decision. 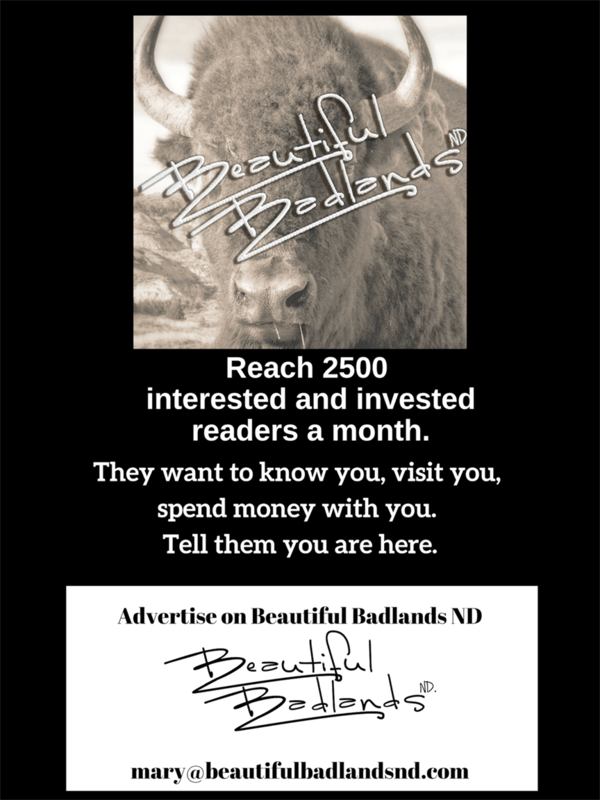 Inspiration from the North Dakota Badlands is an irregularly scheduled story about how lessons we learn in the Badlands are transferred to real life. The images are found here in the “Just Sayin’” gallery. Go browsing. You might see a postcard or keepsake that fits the place where you are in life.